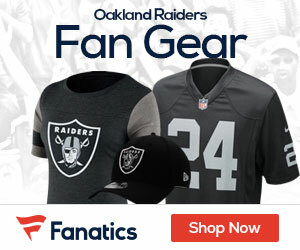 « Video: Will the Raiders win the AFC West in 2012-13? The new Oakland Raiders era is in full swing, with general manager Reggie McKenzie and Head Coach Dennis Allen leading the team into a new and promising regime, dedicated to winning, discipline and the traditional commitment to excellence. The last three weeks both McKenzie and Allen have dedicated their attention on building the new Raiders coaching staff. With first year head coach Allen allowed full discretion on developing his staff the possibilities are endless. On the way he may have ran into a few stumps but he came out generating a pretty strong coaching staff from both the NFL and college levels. He started with finding his right hand man to retool the successful offense of the Raiders, to improve and strengthen the unit even more in the coming season. Allen did exactly that by choosing Greg Knapp, who has 17 years of coaching experience at the NFL level, rejoins the Raiders as offensive coordinator. While after much debate from Raider Nation Allen also decided to retain several offensive coaches including last year’s offensive coordinator Al Saunders, who now has a new title as the senior offensive assistant, his coaching experience prior to Silver and Black’s as the offensive coordinator include 40 years of coaching experience, including the past 29 years as an NFL coach. The offensive coaches Allen decided to retained on staff included Kelly Skipper, Steve Wisniewski . Skipper will hold his position as the running back coach. Skipper is in his sixth season with the Raiders, the fourth in his present capacity after two years as tight ends coach. Skipper, 45, has 24 years of coaching experience and has served as an offensive coordinator at the NCAA Division I level. While Wisniewski, an eight-time Pro Bowl selection as a player with the Silver and Black, enters his second season as the assistant offensive line coach for The Oakland Raiders. Another coach added to the new offensive staff include Frank Pollack that spent the previous five seasons with the Houston Texans as assistant offensive line coach. Now he will serve for the first time with the silver and black as the offensive line coach. The final addition made to the offensive staff includes former Raider and eight-year NFL veteran Justin Griffith, making his first appearance as coach, will serve as the offensive quality control coach. As defense that ended on a sour note last season it did not come very easy to coach Allen to search for his front man but he finally walked out of the NFL ranks and found his defensive coordinator with some NFL coaching experience with the will to win and institute the discipline in the Raider players. He hired Jason Tarver, who served as co-defensive coordinator and inside linebackers coach at Stanford in 2011 after spending 10 seasons in various coaching capacities with the San Francisco 49ers. On Sunday evening it was reported that the Raiders have hired defensive line coach Terrell Williams from Texas A&M to fill the same role under first-year coach and former A&M safety Dennis Allen, according to an A&M insider, however this not yet confirmed by the Raiders. The special team coaches and strength and conditioning coaches were added earlier this month. As the Raiders continue to move ahead to their mix of coaches from the pro and college ranks and this is how the coaching staff looks other than the ones mention above. The coaching staff looks like they are moving in the right direction, let’s see in the coming months they are able to put all together. Raiders on tuesday the 14th announced the hiring of the final position coaches like quarterbacks, wide receiver and tight end coaches mentioned above. Initially, I was in shell-shock after learning that Hue Jackson had been released. Reggie McKenzie??? WTF???? Dennis Allen??? Back to losing season records AGAIN as we rebuild yet another time… But then we hear names like Greg Knapp, Kelly Skipper, Wisniewski, Griffith and Pollack. Hmmmm…this might just work. Things are being thought through and addressed for a change. The defense MUST improve drastically says the GM and the Head Coach!!! Raider Nation is alive and well and not only can we see it, but we can feel it as well. As die-hard Raider fans we need to back and support these changes and give McKenzie the benefit of the doubt…for now. I can’t wait for next season to see how it all pans out – RAIDERS!!! One thing we can always count on in Oakland: the Raider Nation, best fans in any sport, anywhere! Really looking forward to seeing what the new offense comes up with. Zone blocking and a healthy DMC. Praying for our impact players to stay healthy all year.